Are you sick of pumpkin yet? I hope not. Because you still have to stuff yourself with pumpkin pie at Thanksgiving, which is coming up! 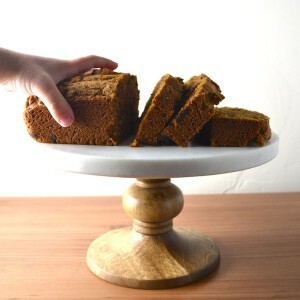 And you still have to make one more pumpkin bread recipe, cause this one is good. And it’s healthy. 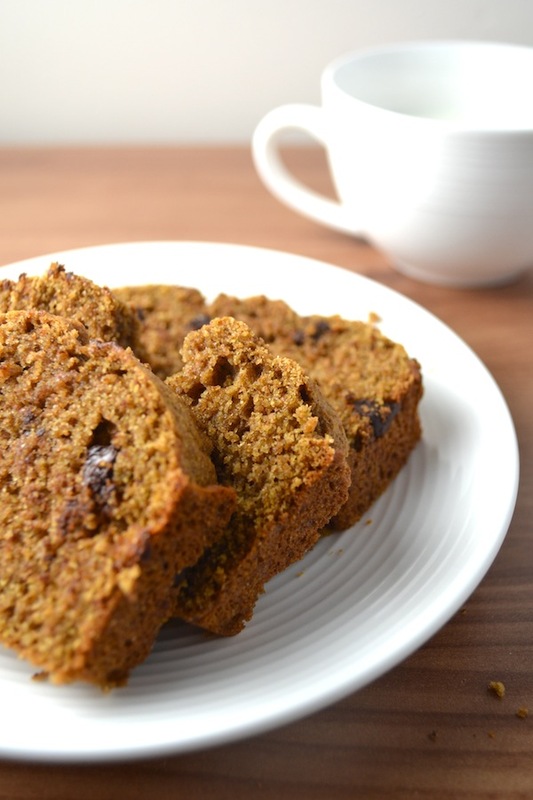 Well, not healthy like a bowl of vegetables is healthy, but it’s healthier than a lot of other chocolate chip pumpkin bread recipes. 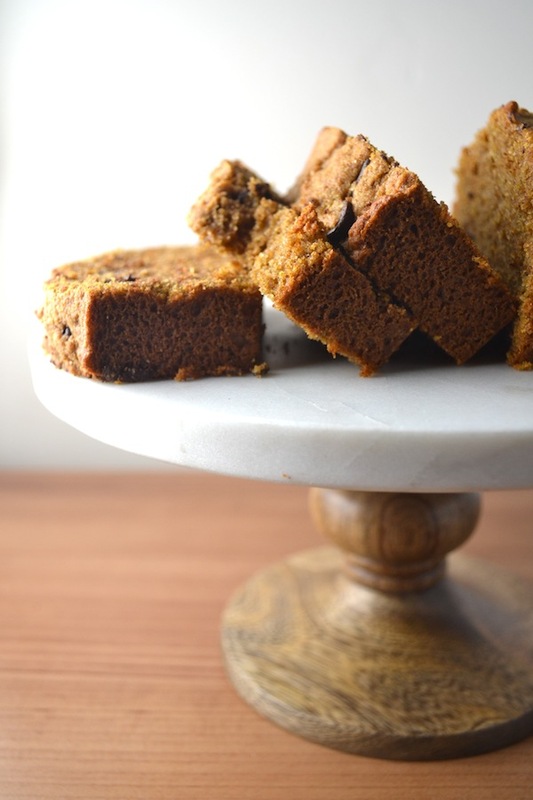 What makes this recipe healthier is the use of sprouted wheat flour rather than refined white flour, honey rather than refined sugar, and coconut oil rather than refined vegetable oil. It does have chocolate chips, but I like to use bittersweet chips that are 70% cacao, so there’s not much sugar in them. You can of course leave out the chocolate chips if you’d like. And you can use plain old whole wheat flour too. I like to use One Degree Sprouted Wheat Flour, Redmond Real Salt, Equal Exchange Bittersweet Chocolate Chips, Farmer’s Market Organic Pumpkin, and Nutiva Organic Virgin Coconut Oil. Using these high quality ingredients will make your bread extra healthy and extra delicious. My kids love this bread. My husband loves this bread. And I love this bread. There are very few food items that are this unanimously loved in our house. You’ll love it too! Grease two 9x5 loaf pans with butter or coconut oil. In a bowl, combine the flour, baking soda, sea salt, cinnamon, nutmeg, ground cloves, allspice, and chocolate chips. Stir until combined. In a separate bowl, combine the pumpkin puree, eggs, coconut oil, honey, and vanilla. Mix well. Add the dry ingredients into the wet ingredients and stir gently until just combined. Pour mixture into loaf pans and bake for 25-30 minutes or until toothpick inserted in center comes out clean. Let bread cool for 10 minutes in the pans and then remove onto a wire rack to fully cool. Hi. I am thinking of making this for Thanksgiving. Does it freeze well?